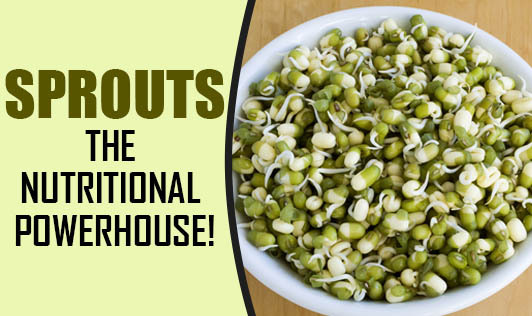 Sprouts - The Nutritional Powerhouse! The process of sprouting beans is being followed since over 5,000 years now. Our ancestors probably knew that it is good for health. There are many health benefits of sprouting beans. • It enhances the nutrient content of the original bean. • Increases the anti oxidant properties. • Increases the vitamin C content of the beans. • Helps to improve our immunity. • Increases the fibre content of the beans. • Becomes easier to digest. • Is a very good option for snacking.